All casino operators offer different experiences. Even similar companies operate differently. MGM Resorts International has properties around the country but mostly in Las Vegas. Penn National Gaming has casinos all over the country with only a couple in Las Vegas. 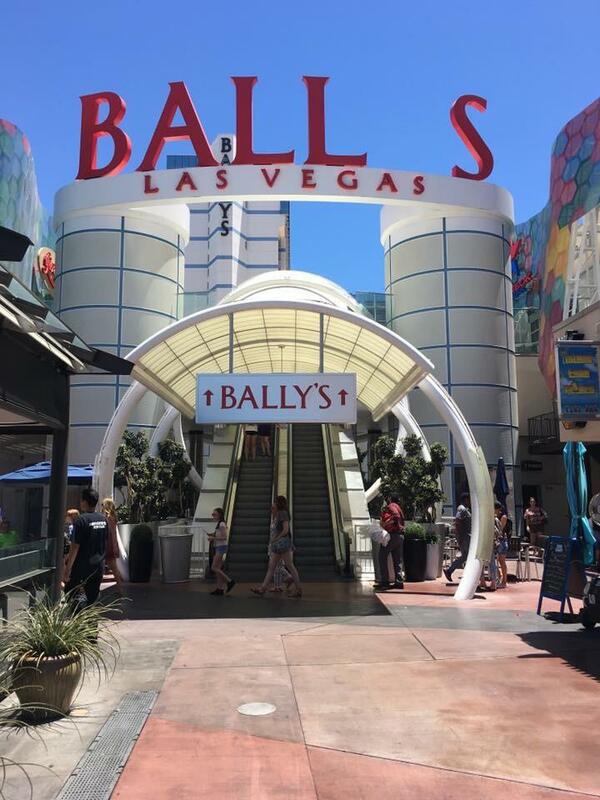 Station Casinos is focused on Las Vegas locals while Boyd Gaming has casinos all over the country with casinos in Las Vegas for locals and downtown Las Vegas tourists. Caesars Entertainment is different than other casino chains. Their operation is kind of a hybrid of many other casino operators. Even though they have many casinos in Las Vegas, the majority of their properties are spread out over the country. The spending trends that we see in Las Vegas aren’t entirely representative of the rest of the country. Case in point, most MGM Resorts International are in Las Vegas. Gaming accounted for just 34% of their revenue in 2016 (page 29 of recent earnings presentation). Not all casino chains have a revenue chart like that. While many see MGM and Caesars as similar companies, the latter had quite a different revenue split. Nearly 60% of Caesars Entertainment’s revenue comes from gaming. Most casino operators in Las Vegas prefer to have a revenue split close to MGM than Caesars. In fact, Caesars wants to have a revenue split closer to MGM Resorts. The two casino operators have different approaches to their companies. MGM Resorts is expanding with new casinos and a massive profit growth plan. Meanwhile, Caesars Entertainment is looking elsewhere to generate revenue. The deal includes all brands under the Caesars umbrella. We may see blow up Flamingos in toy stores or goofy Bally’s t-shirts missing the “Y” in outlets like Spencer’s Gifts. Okay, we probably won’t see the latter. This is a way for Caesars Entertainment to diversify and generate revenue in new ways while they come out of bankruptcy. Last week Caesars Entertainment announced that they’ve hired two executives to help generate revenue beyond gaming. Marco Roca formerly of Wyndham (is the new partnership a coincidence?) and Starwood will be president of global development. Michael Daly formerly of General Electric will be the senior vice president for strategy and mergers and acquisitions. While the IMG deal will license the brand name to products, the new team will look to licensing Caesars brands to hotels that may or may not have casinos. This new addition could transform Caesars Entertainment from a “casino operator” to a “hotel and casino operator.” The new, possibly non-gaming, hotels would become a part of Total Rewards. The players club could potentially explode in size and scope. Related: How Loyal Is Your Travel Loyalty Plan? In time, as new non-gaming hotels are added to the mix the players club could look like more of a traditional hotel loyalty club. Even if the casino customers around the country don’t change how they spend money, the revenue mix should become more diverse. For better or worse, this is an interesting approach to diversifying revenue without changing how the casinos operate. As we’ve mentioned a few times this year, Caesars Entertainment has nearly 100 acres of undeveloped land in Las Vegas. Seven acres are in front of Caesars Palace Las Vegas and the rest of the land is behind The Linq and Bally’s. A recent Bloomberg article mentions that Caesars Entertainment will build a 300,000 square foot convention center behind Bally’s. I expect the Indigo (North/East) Tower at Bally’s will see a renovation by the time the convention center opens. Caesars Entertainment is also looking to keep boosting hotel room revenue. They plan to renovate 7,000 hotel rooms around the country this year. In Las Vegas, the Palace Tower at Caesars Palace has already been renovated. The FAB rooms at the Flamingo will see a renovation beginning later this year. Caesars sees somewhere around a 10% room rate increase from renovated rooms. Since the company spreads upgrades out over time Las Vegas may never see a day where Caesars Entertainment isn’t upgrading rooms.